Mad Men: will death come calling in Season Six? Posted on Friday, March 22, 2013, by Eric - TV Geek Army "Revered Leader"
Rumors are flying around – and stop reading right here if you want to go 100% spoiler free into Mad Men's season premiere, April 7th on AMC – that not one but two deaths will occur (or be referenced) during an action-packed two-hour kickoff. I like the logic on Bert Cooper [as a potential character who might pass away]. He appeared to be pretty old way back in 1960 circa Season One. And he's discussed a few times how most of his contemporaries have already passed away. And from a plot standpoint, the show has seemed to have a harder time figuring out what to do with him with each passing season. In Season Five he basically got to complain a bit here and there, and really only notably found the forged check that wound up pushing Lane over the edge. Pete on the other hand is far too central to the series arc, following in Don's footsteps, though with less mystery and dark charm. And Harry has gotten far too damned strange and interesting to knock off! The more I think about it, however, I really wonder if this rumor – "two deaths and a wedding" – may be throwing everyone off. And this is all to say if the rumor has any weight at all of course (but what else are we going to do but yack about rumors during the cold, dark Mad Men off-season?) – is more of a trick or a guise than anything else. We're hearing that there will be a wedding in a tropical locale (Hawaii) in which, at the least, Don and Megan Draper (Jon Hamm, Jessica Pare) and Harry Crane (Rich Sommer) are attending. This means that the wedding and trip are business-related. What if the two deaths happened "off-stage" and with characters we as the audience are not familiar with? Here's a wild theory of my own, on that admittedly has been conjured up upon a bed of rumors and assumptions. Let's assume that the rumors are true, and we have Don, Megan, and Harry (at least) in Hawaii for a wedding and that this is in part related to two deaths (no one has speculated that the deaths and wedding are in fact related but stay with me). Now, let's say Sterling Cooper Draper Pryce (or Sterling Cooper Draper Campbell?) is in the process of negotiating to win Dow as a client. 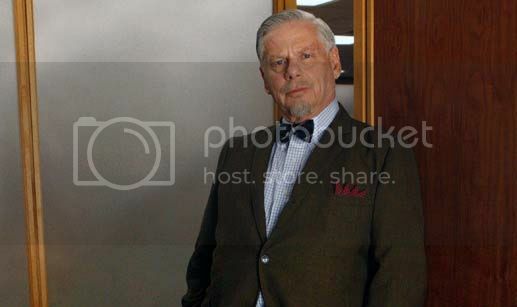 At the end of Season Five, Don aggressively pitched Ed Baxter (Ray Wise) on his near-animalistic desire to win "all of it" (meaning market share, and more broadly, "the moon," as perhaps good old Connie Hilton would say) for the large corporation. And herein we mesh in the deaths. Maybe two executives from Dow's current ad agency die in a car accident or plane crash (let's go with the former as we already had Pete Campbell's father die in plane crash early in Season Two), thus throwing the relationship into chaos. Just as the U.S. military's need for napalm and other militaristic products has skyrocketed, perhaps? In any event, the "silly season" – and I will be the first to admit that the scenario I outlined above is certainly silly, but hopefully fun! 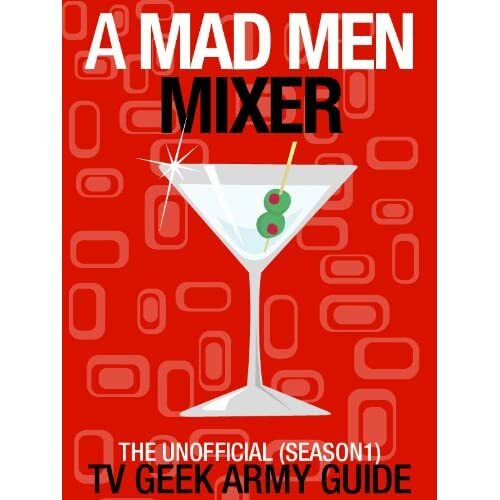 – will soon be over and we will be able to again enjoy the very real fictional adventures of the Mad Men gang.